¼ tsp black pepper for 15 minutes. 2. Saute garlic, onion, potatoes and carrot. Add ¾ cup water and ½ tsp iodized salt. 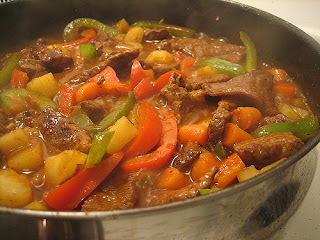 Simmer for 20 minutes or until vegetables are tender. 3. Add green peas and DEL MONTE TOMATO SAUCE. 4. Add fish and bell pepper. Simmer once and serve.